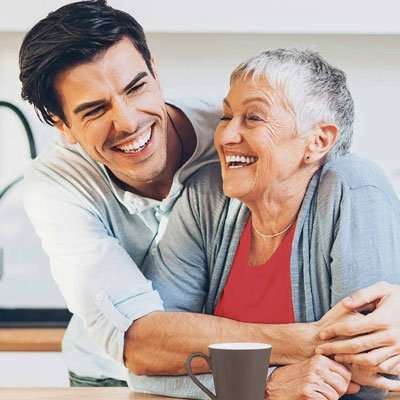 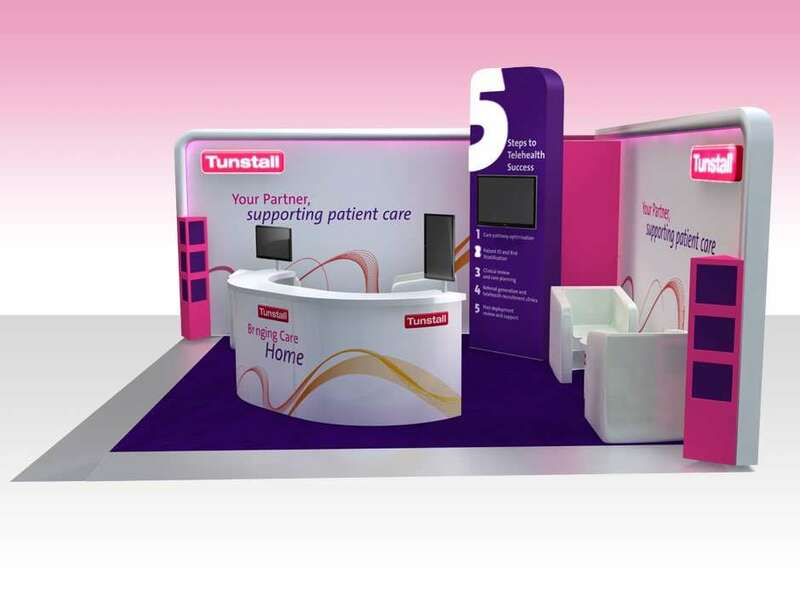 Tunstall Healthcare is the world’s leading provider of tele-healthcare solutions, operating in over 40 countries with over 50 years of trading. 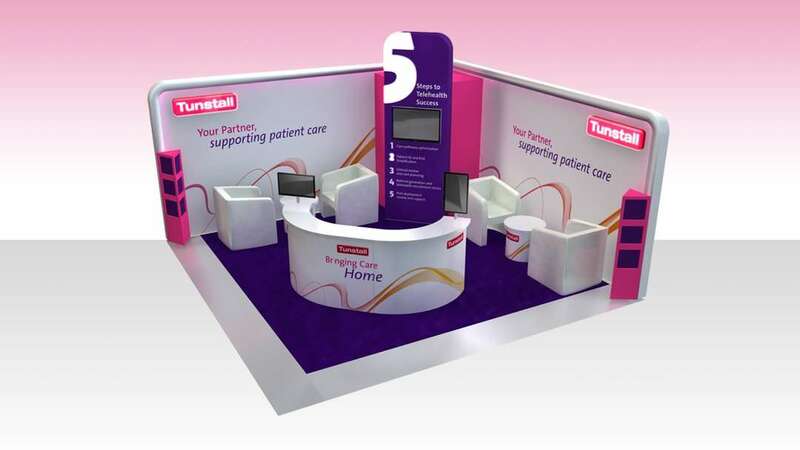 A fresh new approach was required to reinvigorate their exhibition stand design and reflect them as an innovative, cutting edge company. 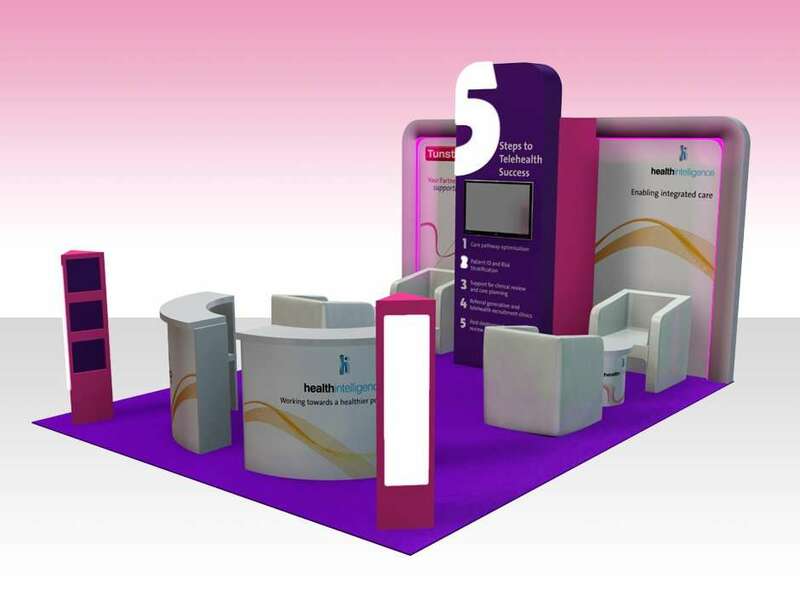 Our brief was to produce an exhibition stand which incorporated ’5 steps’, was more engaging and made a big impact. 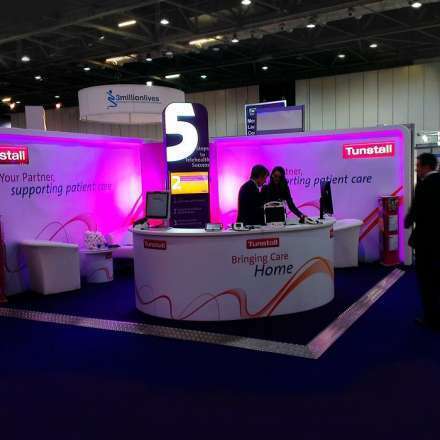 The key message for the event – 5 steps to telehealth success – was situated on top of a column giving it greater prominence. 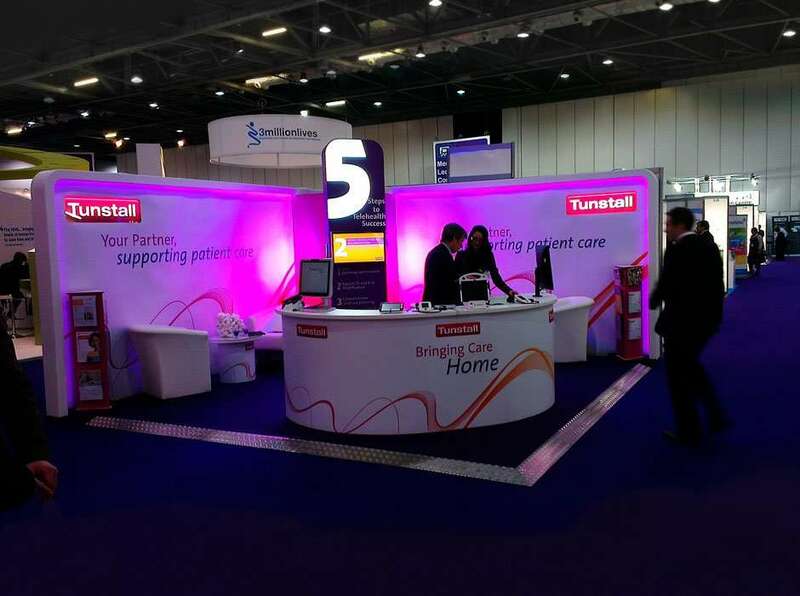 We incorporated a 32” LED TV into the column which ran a keynote presentation explaining the delivery mechanism for tele-healthcare. 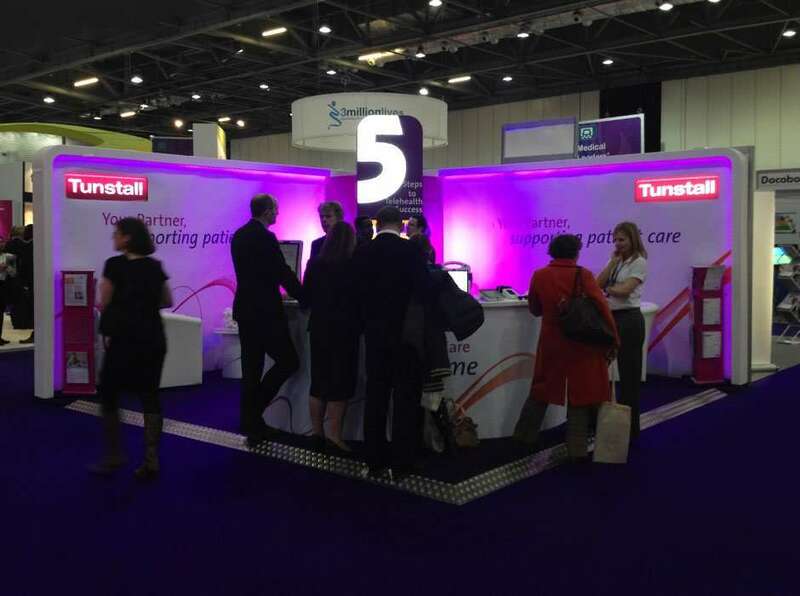 Making a feature of the tower, we backlit the number 5 and 1-5 steps, which alternated in sequence. 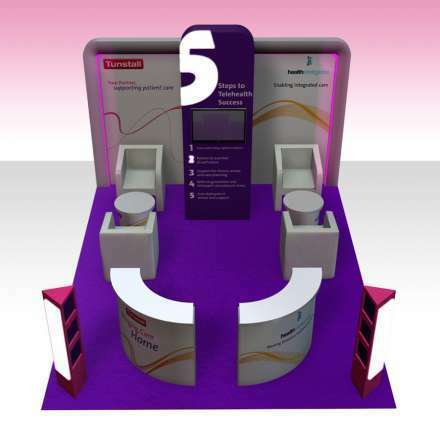 A custom counter which had an integrated 19inch monitor and LED lighting was used to create a meeting area at the front of the stand. 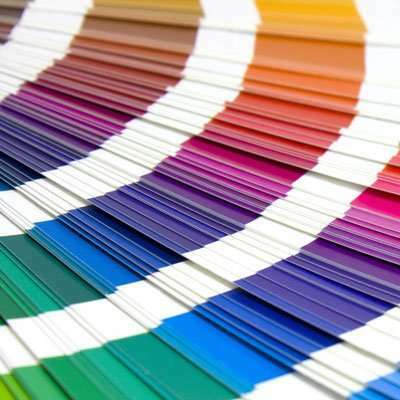 We used a colour palette from Tunstall’s style guidelines, working with only a couple of bold complementary secondary colours. 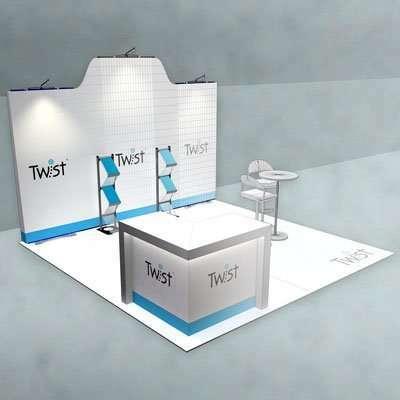 To create contrast and a clinical look for the stand, we used large amounts of white space in the graphic design of the back walls. 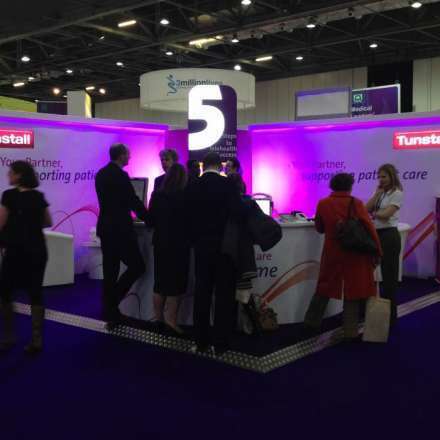 This helped to accentuate the purple LED lighting which was recessed and ran the full length of each wall. 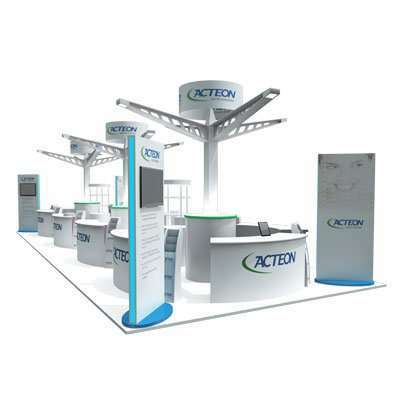 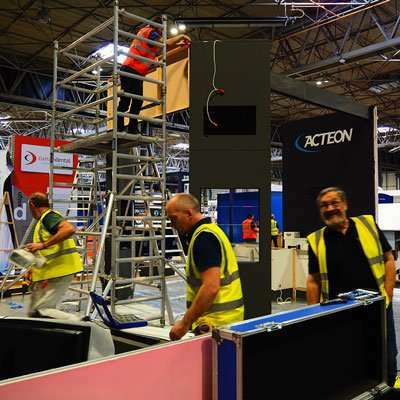 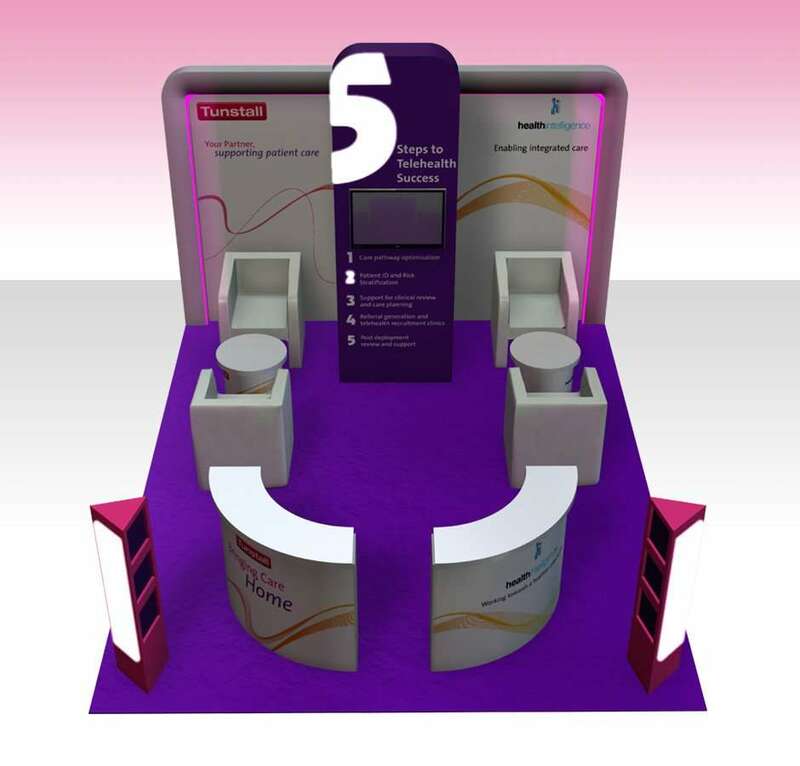 The event and exhibition stand were a huge success, so much so that the company later adapted this design for a smaller stand space. 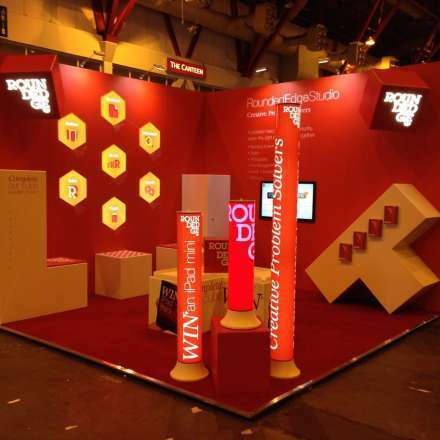 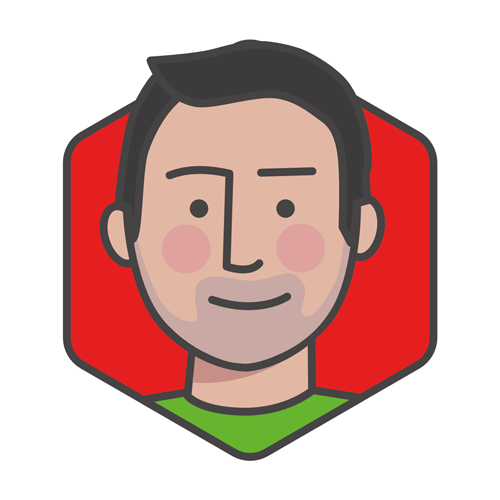 This has been a solid demonstration of Rounded Edge Studio’s custom build innovation. 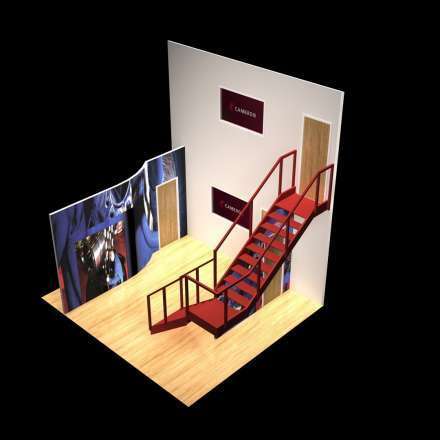 Iquo Ema was generous enough to offer some amazing feedback after the show. 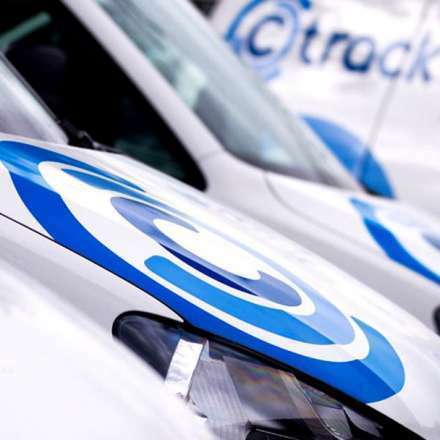 Please follow the testimonial link below. 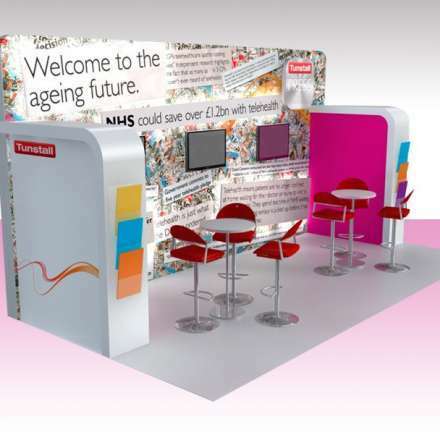 They are able to turn initial ideas into creative, innovative solutions that work well and help to maintain our brand position. 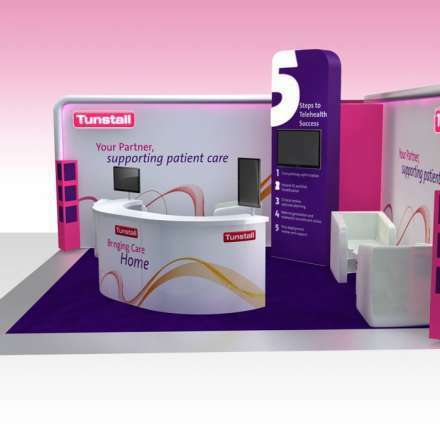 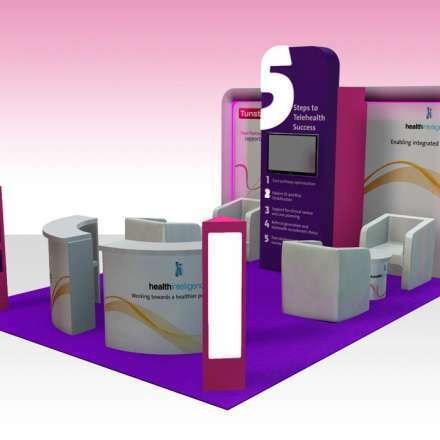 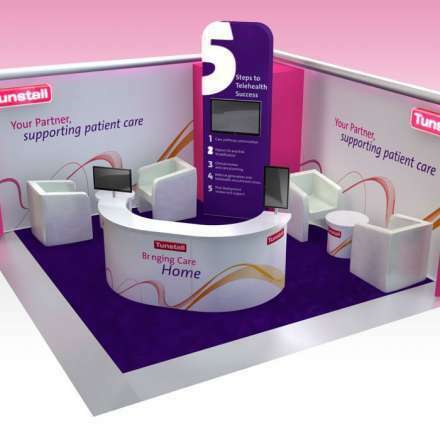 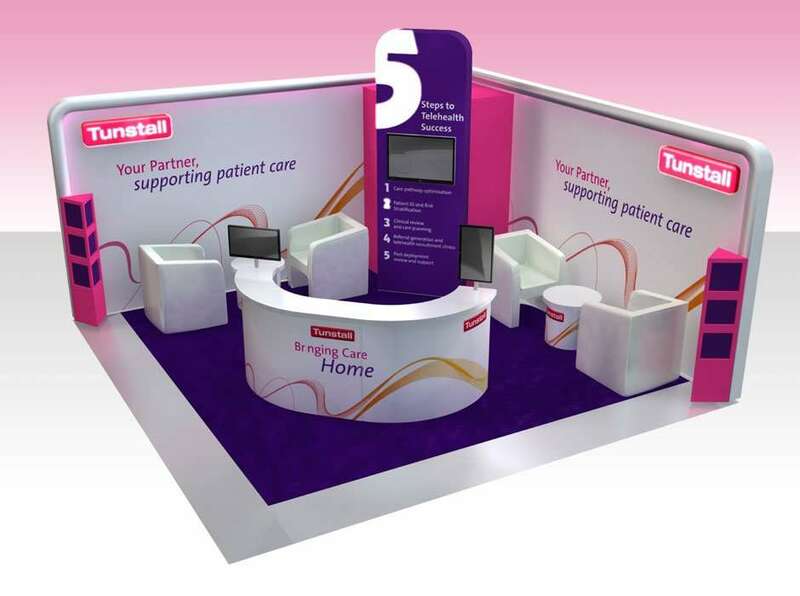 Tunstall needed a custom build exhibition stand to highlight their press campaign surrounding a government rollout of NHS telehealth systems.